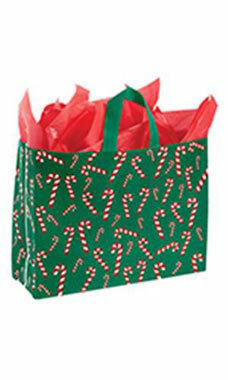 Large Dancing Candy Cane Plastic Frosted Shoppers are the perfect option for your customers holiday purchases. These bags can also serve as a gift bag by adding bright tissue and a ribbon. Wrap up those sales with our full line of Holiday Bags! Get yours today for the Holiday Season!